Identity Theft Labs helps you choose the service that’s right for you! Our experience in comparing identity theft companies over the past 10 years has earned us a stellar reputation. As a trusted source for professional reviews, of what we consider to be the best identity protection companies, we narrow your focus and save you time, eliminating your frustration and overwhelm. 10% Off First Year. Terms Apply. ¹Feature list subject to change. Please see our reviews for more in-depth details and each company’s website for terms and complete details. If you have ever seen Datelines “To Catch an ID Thief” where they expose the internet black market then you know criminals move fast and everything from Social Security numbers, to credit cards and bank account numbers and passwords are readily available for sale in illegal internet black markets. Add to this the 120 million personal and private records that have been exposed in the last three years by data breaches and you can see why identity theft protection is something you should strongly consider purchasing today. If you are not convinced that you need help to protect yourself against identity theft then read our truth revealing article titled Identity Protection – Do I Really Need It. This often shared article separates the facts from the media propaganda and gives you the knowledge you need to make an educated decision. If you’re ready to help protect yourself against identity theft now but are still undecided on which service to use then please read our professionally researched reviews and choose the id theft company that best meets your needs and budget. Identity Theft Labs also wants to make sure you are aware of three other tools, two that help stop identity theft and one that can indicate if you have become a victim. Before presenting these we do want to caution you and make sure you’re aware that there is no such thing as full proof identity theft protection. 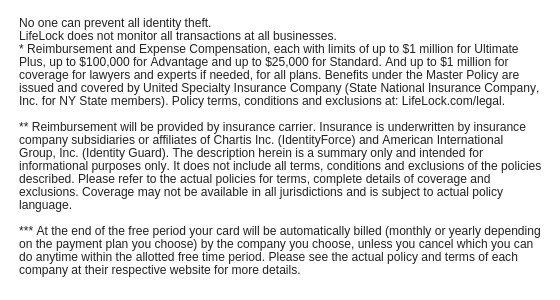 This is why identity theft companies offer insurance and/or service guarantees. It certainly is smart to take precautions and steps to protect yourself but it is down right foolish to think that because you’re being careful, or took this or that step, that it won’t happen to you. There never has been and never will be full proof id protection. Some people are simply far more vulnerable targets and you don’t want to be one of them. Having said that, the first tool to be aware of is a credit bureau fraud alert which you can place on your credit report. Essentially this fraud alert requires creditors to take reasonable measures to verify your identity before approving any credit requests. This is often done by calling you at the number you place in your credit file beside the alert. Fraud alerts have to be renewed every 90 days unless you are already a victim and can provide proof to the credit bureaus, at which time they will extend it to 7 years. Identity theft protection services such as LifeLock, Identity Guard and Debix are no longer legally allowed to place these particular fraud alerts on your behalf. We still recommend you place a fraud alert on your credit file even though you have signed up with an identity protection service if your situation meets the spirit of the Fact Act in that you have a “good faith suspicion” (in other words you believe) “that you have or are about to become a victim of fraud or related crime including identity theft”. These fraud alerts are a good tool to add to your arsenal as they help stop new credit accounts from being opened in your name. They don’t protect your existing accounts. Fraud alerts are free. The second tool is to order and review your credit reports. You can order them for free from Annual Credit Report the only government mandated site and the only truly free service. Some experts recommend you stagger the reports, one from each bureau every four months, so that your never go too long without being notified of an identity theft situation. We agree, with the following caveat. If you suspect identity theft we suggest ordering all of them immediately as all issues don’t always populate across all three reports or bureaus. Of course, it should also be noted that ordering them does nothing at all unless you vigilantly review the information and investigate any suspicious activity. The third tool is called a credit freeze. There may be a fee that varies depending on which state you live in and the fee is payable to each of the three main credit bureaus. For most states the fee is $10 per bureau so it will cost you $30 minimum (there may be some incidentals such as postage – don’t use regular mail). A credit freeze does exactly that, it freezes your credit accounts. Creditors have no access to it and you won’t either, so if you want to finance a car or get a new credit card you will have to unfreeze your account which usually incurs another fee and a bit more leg work. 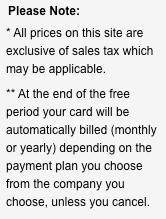 After you have acquired the car and no longer need access to your credit then you can pay to freeze your credit once again. A credit freeze offers better identity theft protection than a fraud alert but is more time consuming and has a far greater inconvenience and cost. Credit freezes or fraud alerts can be placed at the three main credit bureaus which can be found on our resources page. You can also find their addresses and phone numbers on our What to do Step by Step for a Stolen Purse or Lost Wallet page. Unfortunately, the bureaus are not noted for their customer service so you may want to keep that in mind when phoning. Remember, don’t bury you head in the sand with regards to identity theft. The fact that you are here signifies that you wont. A lot of people fail to take any action and far too many end up regretting it… just ask the millions of Americans who are victims every year. Regardless of your choice, whether it be do-it-yourself, a professional identity protection company, credit monitoring or some combination of these, the important thing is that you take action to protect yourself and your loved ones. Nearly $15 billion dollars were stolen from identity theft victims in 2017. Identity theft also caused an untold amount of personal crisis and despair. Take action today and enjoy the peace of mind that comes when you know your credit and identity are protected. Be safe, take action now. Get started by reading one or our reviews of LifeLock, Identity Guard or IdentityForce. Don’t forget to read our blog for prevention tips, educational articles as well as industry and company news.